One ought to make a presence in the virtual world when he or she looks to grow his business. In the business of dealing with pets this need has become all the more vital. 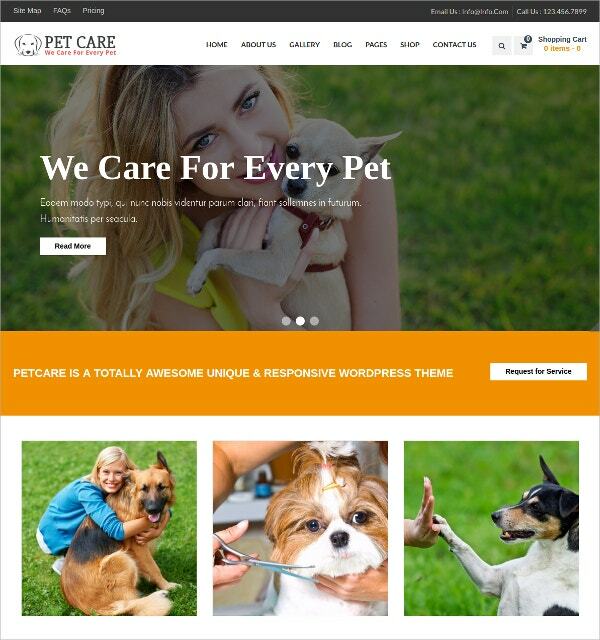 With the advent of free and premium pet Website Templates one can stay assured that one can get a website which is amazing and which would be capable of attracting more and more traffic on to the website which would translate into more revenue and profit. 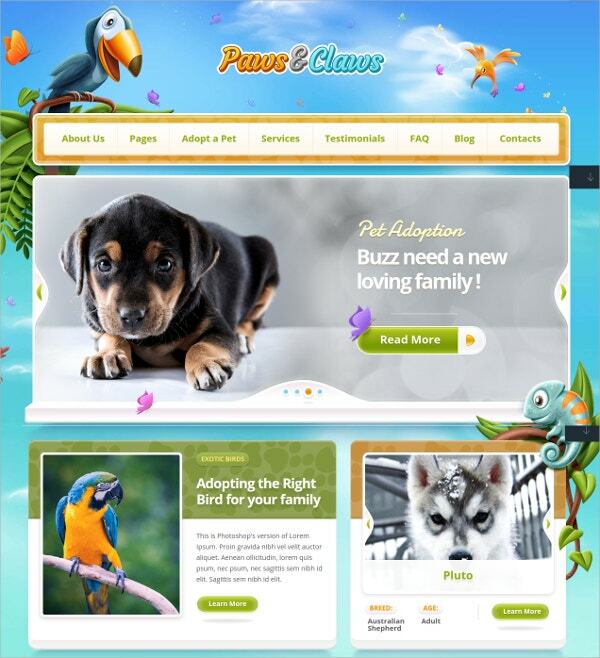 These website templates are very easy to install and are designed in a manner to meet the needs of a pet website. When you opt for the premium version of these websites templates you get a number of additional features such as awesome images to be put in the website, great color schemes, drop down menus which will make your website top class. 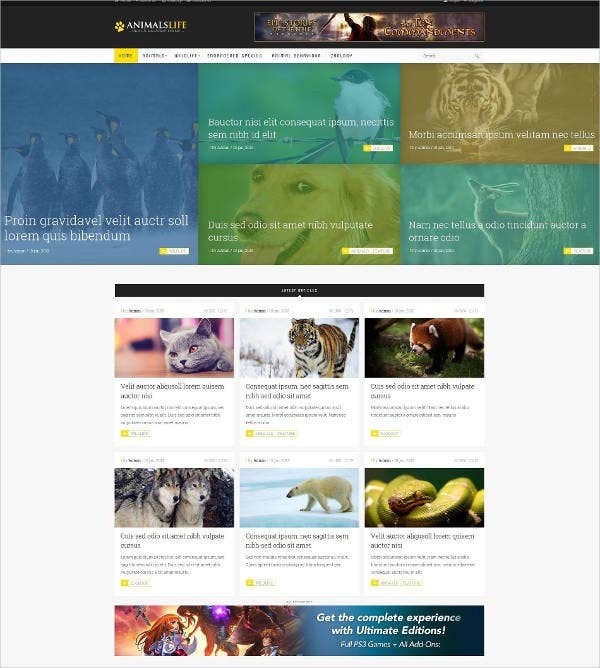 You May also See Animal & Pets PHP Templates. Pet is a very touching part of one’s life and people would be attracted towards this type of cute website featuring cute little puppies. The color combination is very well suited to pet lovers who care their pets just like their kids. Here is a website which gives opportunity to pet clinics and day care centers to features their services to the pet lovers. 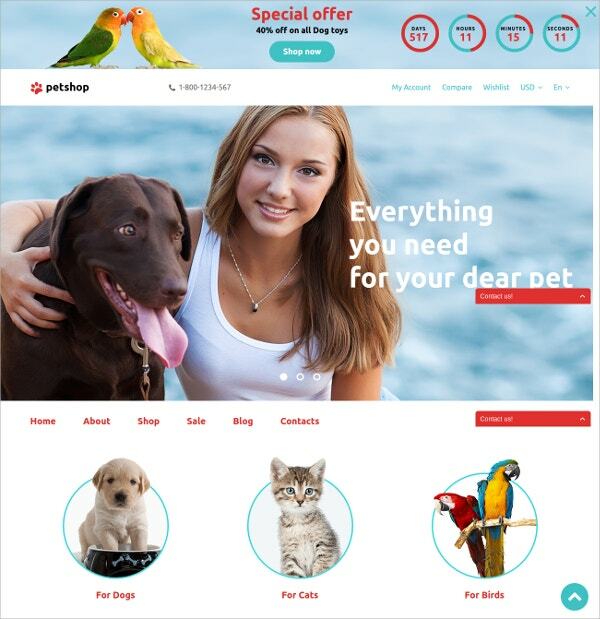 This website design created for pet stores or medical units are fully Woo Commerce supported. A website design with minimum budget allocation for first time website users, this one is of great use. 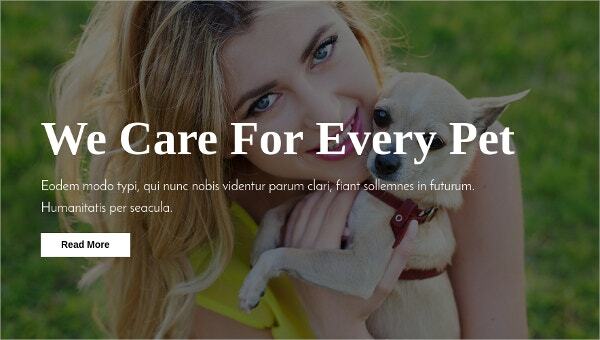 Animal shelters are of high demand among pet keepers while this effective, informative and easy to create Word press theme is very useful for beginners in this business. 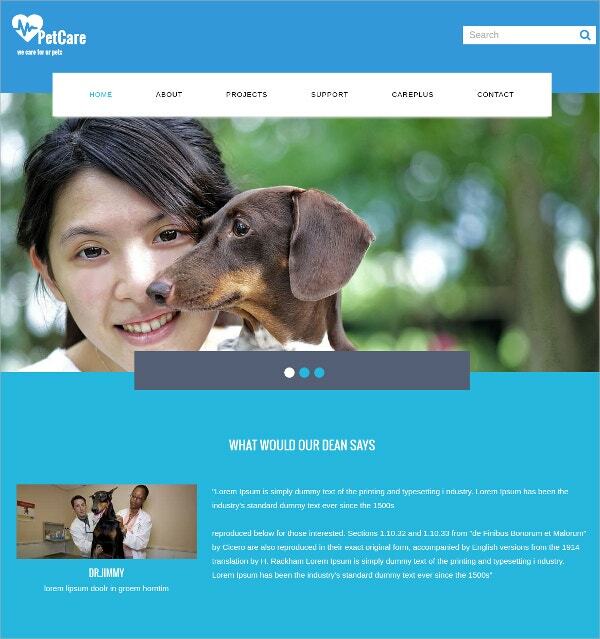 With free flat responsive website design this pet website template is a very clean and subtle website. Though built in a fancy style you can easily customize it according to your wish and requirement as well. 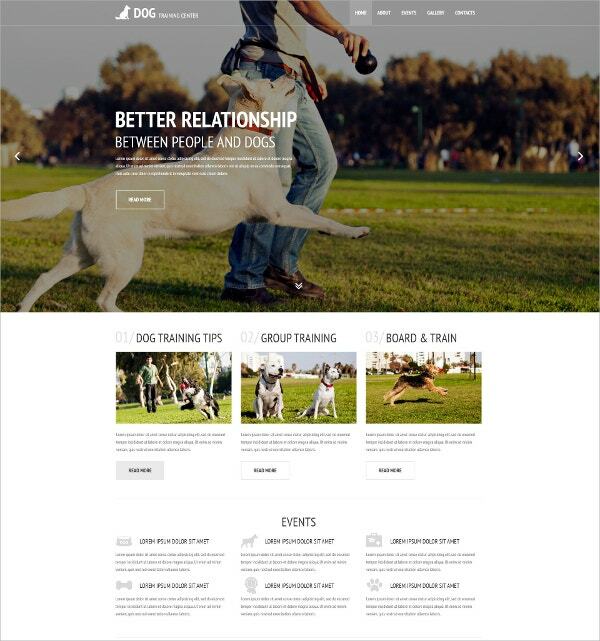 A very useful website template for a dog training centre is also available in our arrangement. This design engages minimalist layout design. The unique proposition of this template is its capacity to fit in any screen resolution. 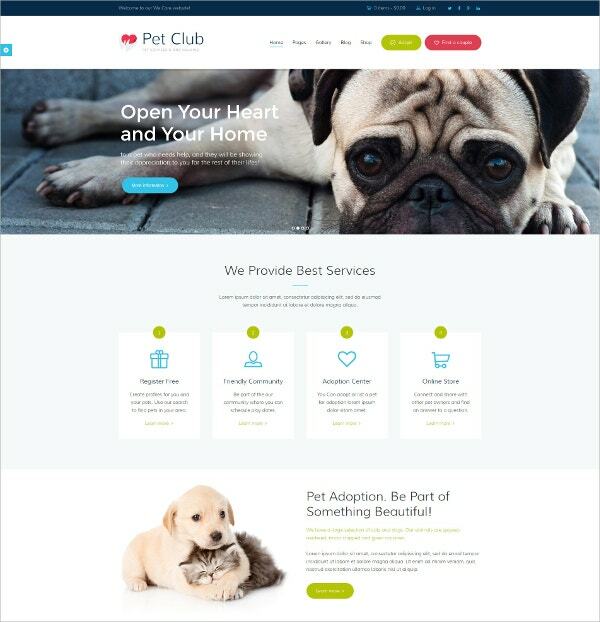 The Pet club website theme design is a very suitable website for animal day care, shelters, and training centers, mating centers, pet hotels, dog or cat trainers, animal community, adoption centers. The Woo commerce compatibility and full store design integration makes it more acceptable. 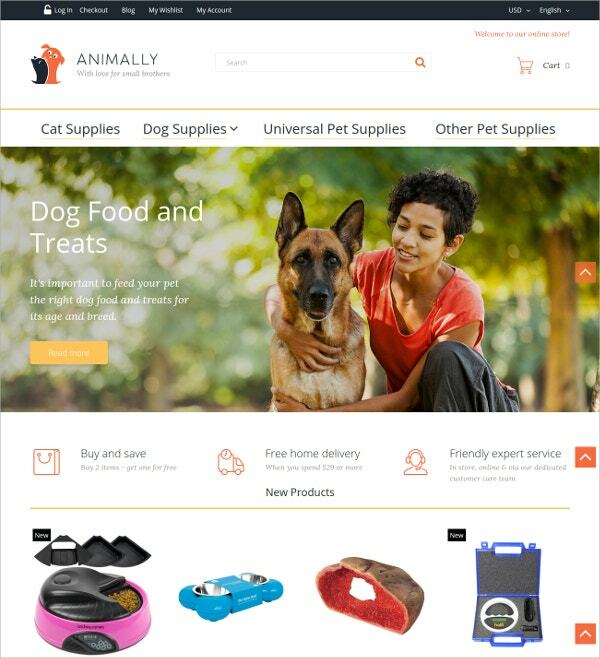 This design is aptly suitable for online pet stores where you could showcase your products available with ease. It is available in all easy to use formats like PSD, CSS, PHTML, and XML. 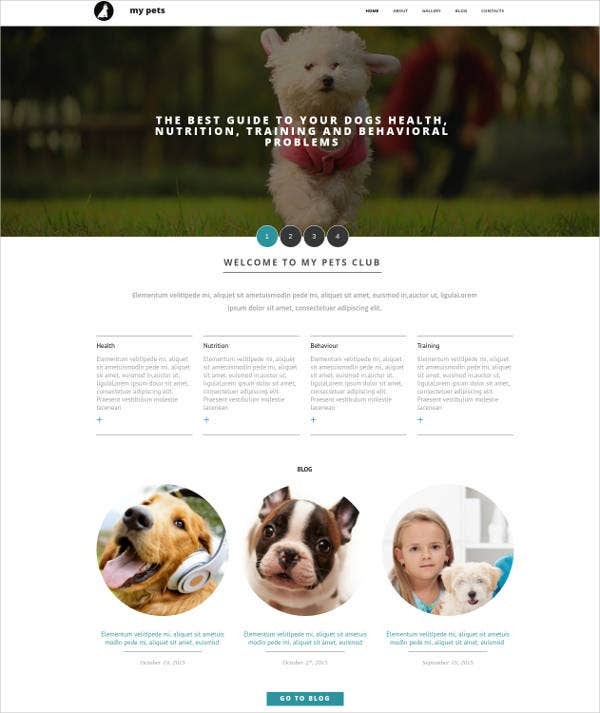 Wish to create an attractive corporate site for pet products with creative design? We have a solution ready for you here. The petshopper is a potent Word Press E commerce theme which allows you to showcase you different products in an attractive manner. 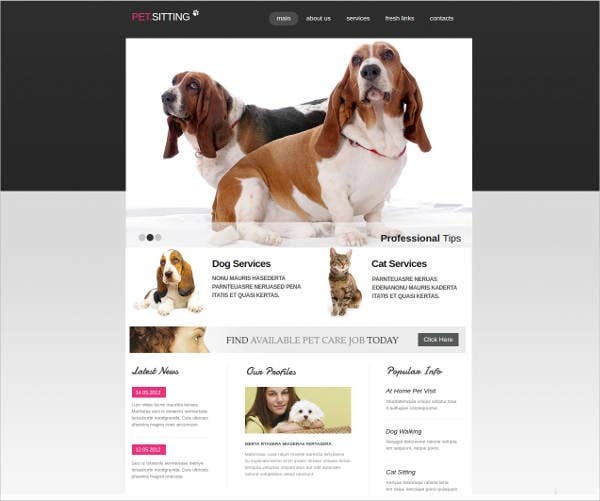 One very time saving and easy to create pet website is this Dog & Pet Training Word Press website Theme. The Word Press CMS theme has custom widgets helps you save on time. Just like other pet lovers there are also a large number of bird lovers who look for various things for their birds care online. 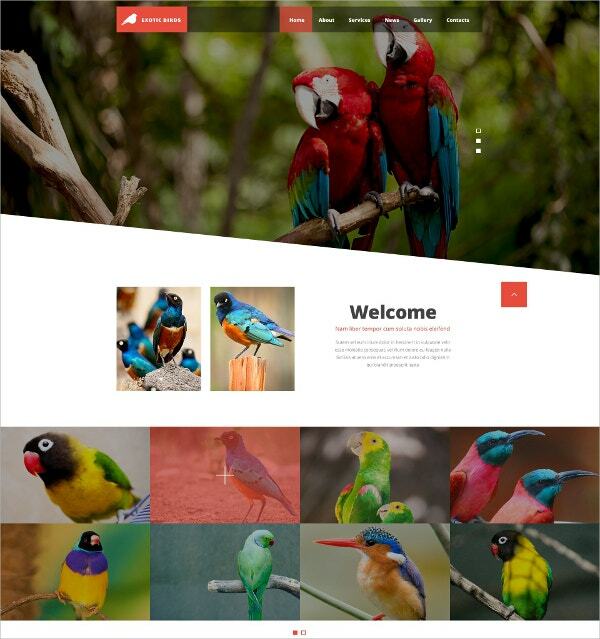 Here is a website design with good collection of bird pictures which if created for your store can fetch good traffic. 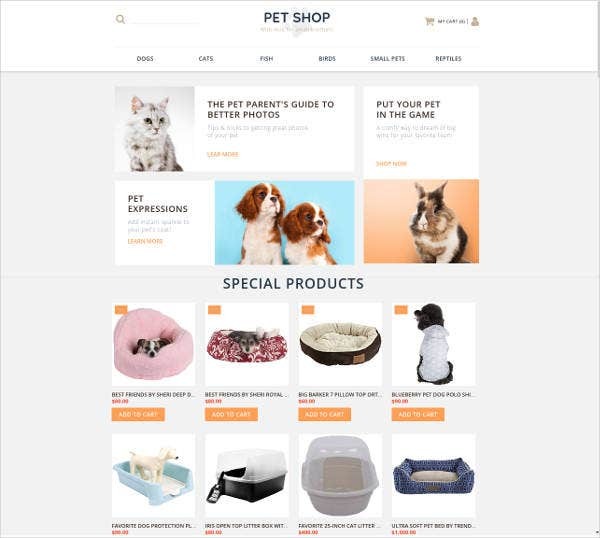 This Dog & Pet Opencart Website Template is available in various easy to manage formats such as PSD, JH, PHP, PNG, TPL that are very user friendly and supported by software like Adobe Photoshop CS+, Apache Server and others. 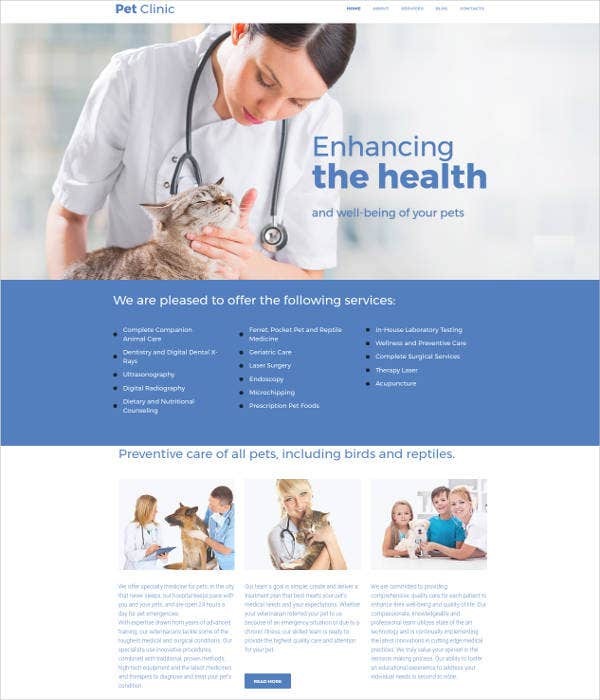 If your aim is to keep your website clean and simple, this Pet centre Word Press one page theme is a suitable one for your business may it be a veterinary care unit, clinics, shelters and others. This is easy customizable as well. 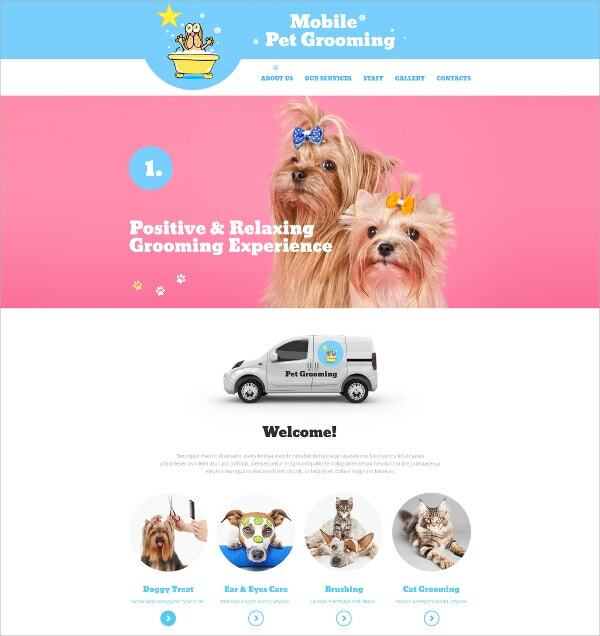 Available in PSD and HTML sources this Dog Responsive Website Template is a very user friendly website design template supported by easy available software. The color effect gives it a different and appreciable look to the viewers. This template uses Bootstrap framework to operate and has a compatibility of 100% with mobile, laptops as well as tablets. This gives you the opportunity to look into your details and offerings being mobile as well. It is a matter of clicks that could let you change the design and color combination of this website. 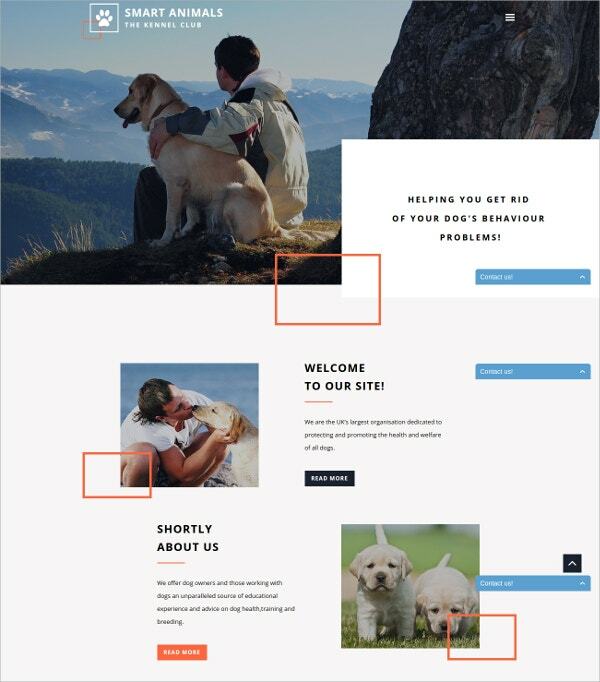 The Unique Pet Clinic Website Template is directly from the Word press admin which allows you to customize as per your requirements. This is a responsive Java Script animated type of template available in HTML and PSD sources. It also supports animation feature which makes the website look more close to the pet lover’s requirement for care. If you do not wish to spend on such premium websites templates then you ought to go for free templates which are also awesome with preset images, customizable fonts and images and have the added benefit of the users not having to spend even a penny. 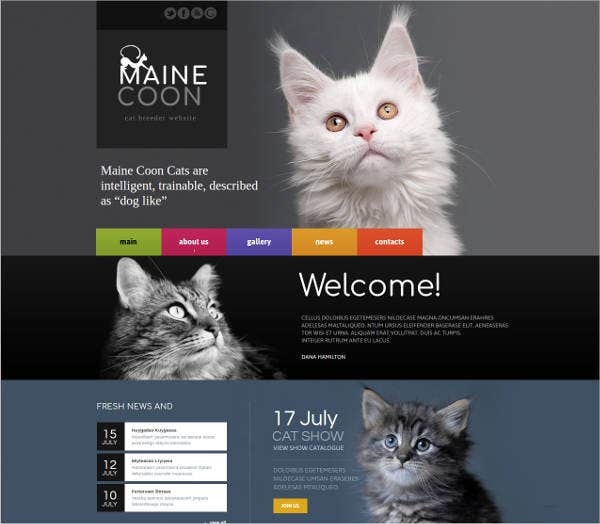 So get these best pet website templates which would help you create marvelous and mesmerizing websites for your business. 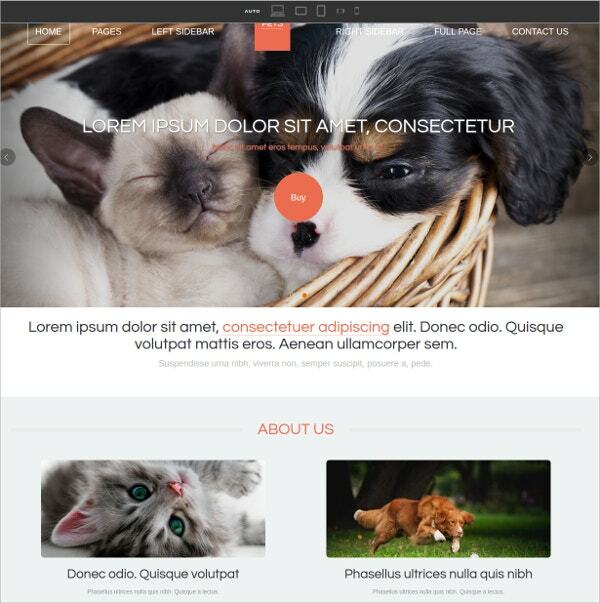 You May also See Animal & Pets HTML5 Templates. Those who love pets they just love them unconditionally. Designing a website for them should be such like as well. Our glut of arrangement of such website designs helps you get closer to your customers emotionally and get their interest stick to you.